Low clearance detection technology uses a light beam to detect when a load is too high to clear the opening ahead. When the light beam is interrupted by an object passing through it, the interruption triggers the warning lights and audible alarm to go off. 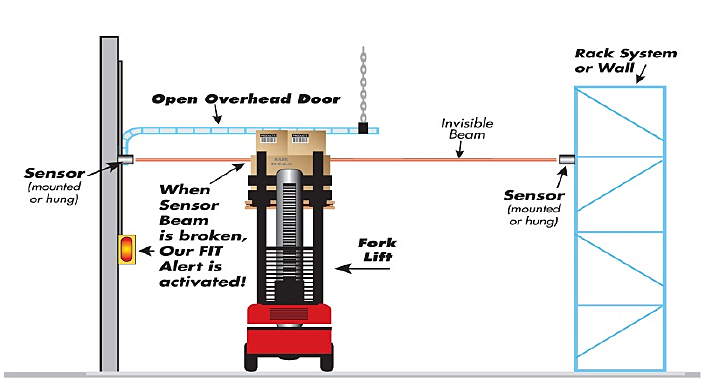 This gives the forklift driver plenty of time to stop before colliding with the obstacle ahead, saving on structural damage, possible injury and product loss. 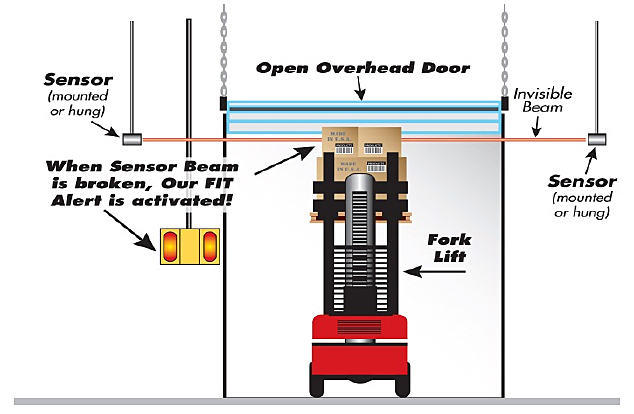 Use for overhead doors, sprinkler systems, overhead conduit and other overhead obstacles that present the potential for collision in forklift traffic areas. 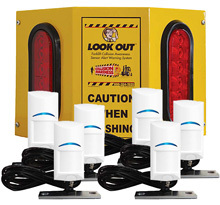 Light beam sensors can be set up for various widths and can cover a range of overhead obstructions.